Ini adalah foto kota Bern, di Swiss. 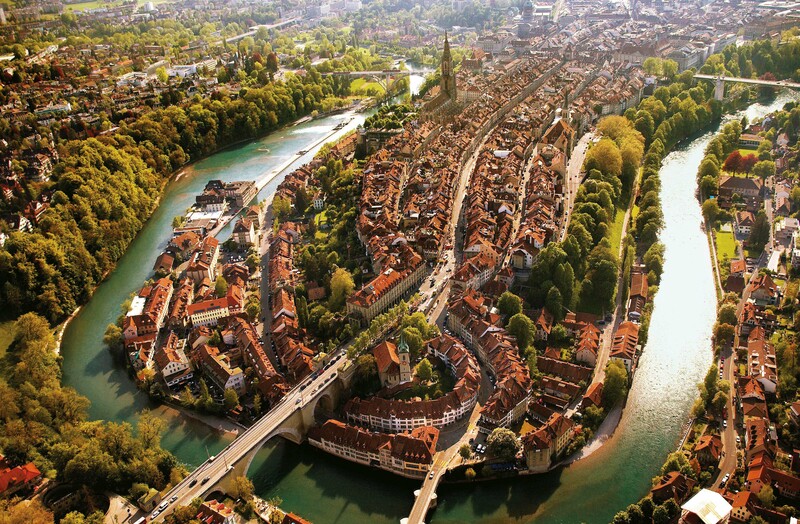 I used to live in Bern in high school (my dad’s job moved our family there for a couple years — and yes, it’s actually that beautiful) and I can confirm, but it’s kind of more complicated. It can be relaxing depending on your personality. If you don’t mind following rules, the fact that everyone else follows them is really nice. Trains are never late, bathrooms are always clean, and everyone always buys a ticket for the bus, even though the ticket checkers only come through one time out of ten. But that’s basically what switzerland is like.